Beginning January 10, 2018, Arlington residents who are homeless or in imminent danger of becoming homeless can apply for assistance through the City’s Homeless Housing and Services Program (HHSP). The City will utilize HHSP funding in the amount of $208,788, provided by the Texas Department of Housing and Community Affairs, in furtherance of its City Council adopted 10-Year Plan to End Chronic Homelessness. 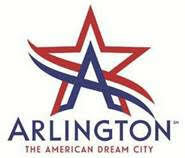 The Housing Authority of the City of Arlington (AHA) has managed and operated this grant on behalf of the City annually since 2010. This year, the City anticipates that it will serve approximately 50 to 60 households from January 2018 to August 2018, or until funding is depleted. This resource is for persons who meet the program’s eligibility criteria. HHSP funds will be utilized in Arlington primarily for renters who are in imminent danger of becoming homeless that, without assistance, would be evicted from their rental unit and become homeless. Assistance with payment of past due rent and utilities would be available to applicants that have the ability to remain stably housed after the receipt of this assistance. For persons already homeless, the funds will be used to help persons re-enter stable rental housing by assisting with payment of the security deposit and first month’s rent. The HHSP has proven to be a valuable resource to help address homelessness in Arlington and in seven other large cities in Texas. This valuable, but limited resource, compliments the outstanding work performed by Mission Arlington, the Arlington Life Shelter, SafeHaven, the Salvation Army and numerous churches and faith-based agencies serving those most vulnerable in Arlington. Additional information about the HHSP can be found at http://www.arlington-tx.gov/cdp-housing/homeless-services/evictionhomeless-prevention/ or contact the AHA Homeless Assistance Program staff at 817-276-6713.